This new collaboration is based on understandings reached between Jordan’s King Abdullah and Palestinian Authority Chairman Mahmoud Abbas in August 2017 after the crisis of the metal detectors that were set up at the gates to the Temple Mount. King Abdullah, for his part, made a special visit to the Muqata in Ramallah and agreed with Abbas on setting up a joint committee for strategic coordination on the Mount. The first step was already taken a few days ago and is connected to the Mount. At the behest of King Abdullah, the Jordanian government approved the expansion of the Council of the Islamic Wakf and the Holy Places in Jerusalem from 11 to 18 members. For the first time, the council – which was manned by pro-Jordanian figures – will include senior figures connected to the PA and Fatah, a move that Jordan has avoided since 1994. Senior elements in Fatah call Jordan’s agreement to the measure a “historic change” aimed at enabling joint control of the Mount. Jordan has special status on the Mount, and the 1994 peace treaty with Israel makes it the custodian of the Jerusalem holy places. According to senior Fatah sources, the Jordanians and the Palestinians fear that Trump’s Deal of the Century seeks to transfer responsibility for the Holy Basin in east Jerusalem, including the Temple Mount, to joint Arab administration and to give Saudi Arabia a special status at the Al-Aqsa Mosque. To scuttle the move, the first step was taken on February 14: the abovementioned expansion of the Council of the Islamic Wakf and the Holy Places in Jerusalem. It will now include both Jordanian and Palestinian representatives, thereby establishing facts on the ground and signaling to the United States and Israel that Jordan will not relinquish its special status in Jerusalem and will cooperate with the PA in administering the Temple Mount. Who Are the Palestinian Figures in the Wakf? The expanded council’s first meeting, which was held in the Old City of Jerusalem, saw the participation of senior representatives of the Jordanian Wakf Ministry who discussed ways to strengthen control of the Al-Aqsa Mosque. Who are the PA-connected figures who were added to the new council? The most senior representative is Adnan al-Husseini, who serves officially as the PA’s minister for Jerusalem affairs. Also added to the council were former PA Health Minister Dr. Hani al-Abedin and former PA Economy Minister Mazen Sonkrut. Other new members include Khatam Abdel Kader, a senior Fatah figure in Jerusalem and Abbas’s adviser for Jerusalem affairs; Dr. Imad Faik Abu Kishk, dean of Al-Quds University and an associate of Jibril Rajoub; and Dr. Mahdi Abdel Hadi, a senior Fatah figure and head of the Passia Institute. The new Jordanian-Palestinian move is a clear violation of the Oslo Accords, which prohibit PA governmental activity in east Jerusalem. Israel can counteract this move, but so far no measures have been taken. 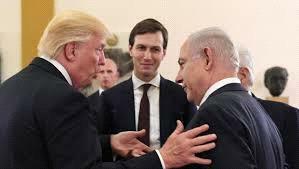 At the end of the month, U.S. advisers Jared Kushner and Jason Greenblatt are slated to visit several Arab states to promote the economic aspects of the Deal of the Century, which will be announced after the Israeli elections. Abbas has already launched contacts to scuttle the new American plan. He rejected the invitation to the Warsaw Summit and went to Saudi Arabia to enlist King Salman’s opposition to the Deal of the Century and demand adherence to the 2002 Arab Peace Initiative. The Jordanian-Palestinian collaboration on the Temple Mount issue, alongside the establishment by Jordan and the PA of the joint Islamic council to administer the Jerusalem holy places, is a move that spells danger for Israel and compromises its sovereignty in Jerusalem. Israel should act against it immediately, before the U.S. administration publicizes its new plan.